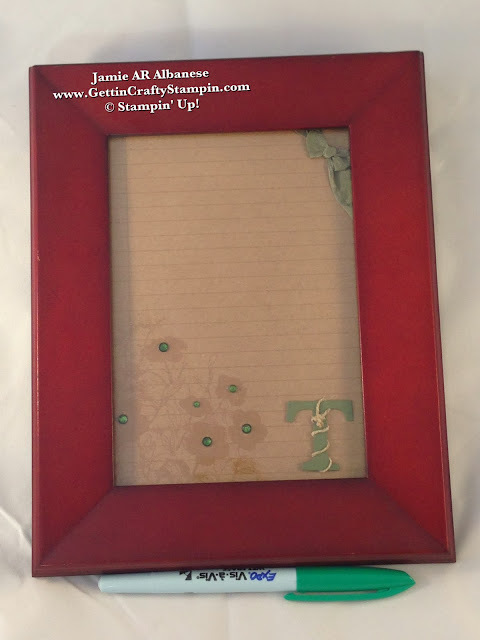 Getting Crafty with Jamie: The gift that keeps on giving! Teachers are given great gifts... and I am always surprised at how the office staff is ignored. Our Vice Principle, Tricia, a neighbor and friend (after serving for the past 5 years - we've gotten to know one another) celebrated her birthday this week. I couldn't resist giving her a gift that is sure to keep on giving! What do you think?!?! Leave me a comment and let me know. Share this (and me) with your friends and family, Pin, Email, Google+, Facebook, Tweet, and Follow me on those avenues (YouTube, Instagram, LinkedIn, to!). 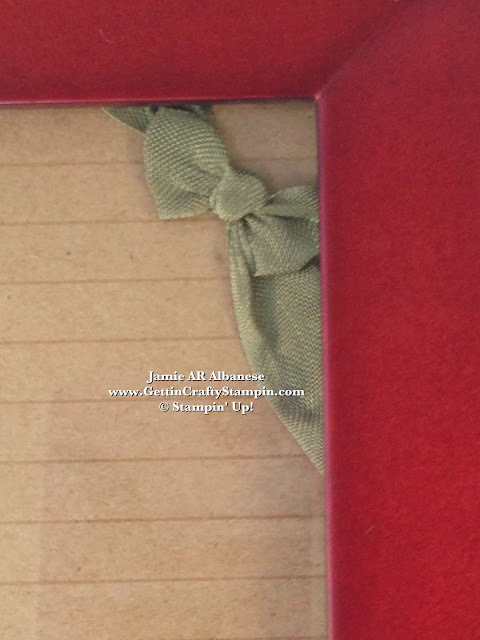 Taking a fun frame, warm and rich, to create this gift. Our Natural Composition Specialty Paper (#126917) is fun, warm and natural, just like Tricia! 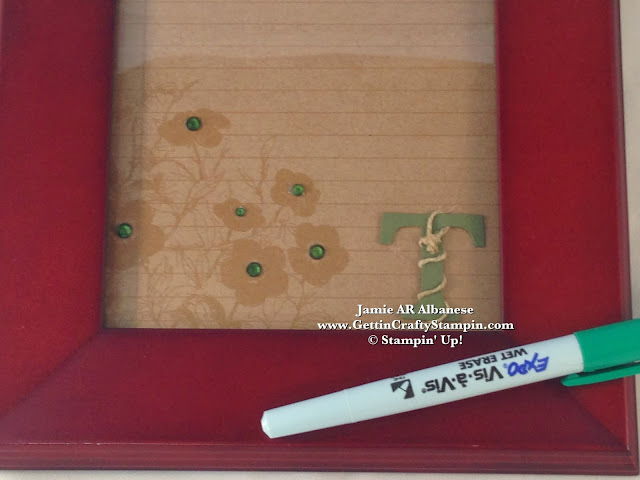 Her favorite color is green... a fun way to incorporate green into this project is to take our adhesive backed Rhinestone Basic Jewels (#119246) and a Green Permanent Marker. Coloring it in for a beautiful emerald look. 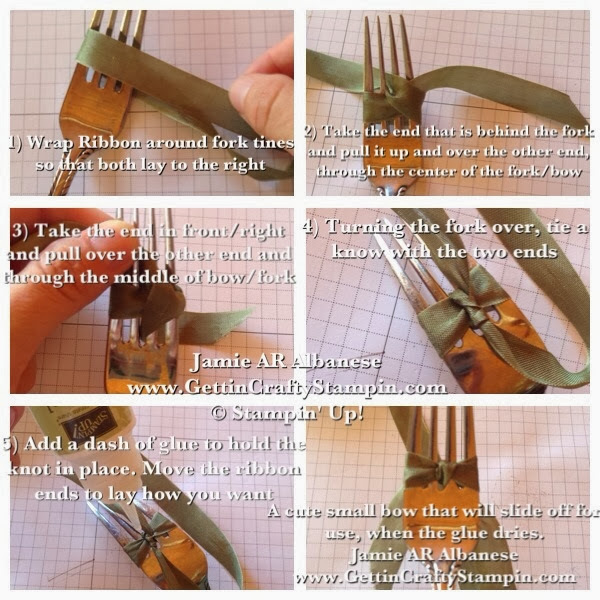 Using this Fork Technique (see the Tutorial below) to tie this sweet little bow with our Seam Binding Ribbon. This technique creates small, even bows. Adding a fun, personal accent, with our Always Artichoke card stock (#105119), Big Shot Die-Cutting Machine* (#113439) and Typeset Alphabet Bigz Dies* (#127553) to create this sweet 'T'. Making a little loop with our Natural Linen Thread (#104199) and placing it on the top of the T. Wrap it around for a fun rustic accent. Adhere it in the back with our Glue Dots (#103683) and then adhere it to the page. *See how as a Hostess I bring you a Fun Class, You Earn Hostess Benefits and can take the Big Shot, Typeset Alphabet Bigz, or whatever you pick for FREE or 1/2 OFF! Do YOU want to become a Big Shot Star, take home this Big Shot and TONS of Accessories?!? Join the Big Shot Club - virtually or in-person!! Own the PDF's forever, too! 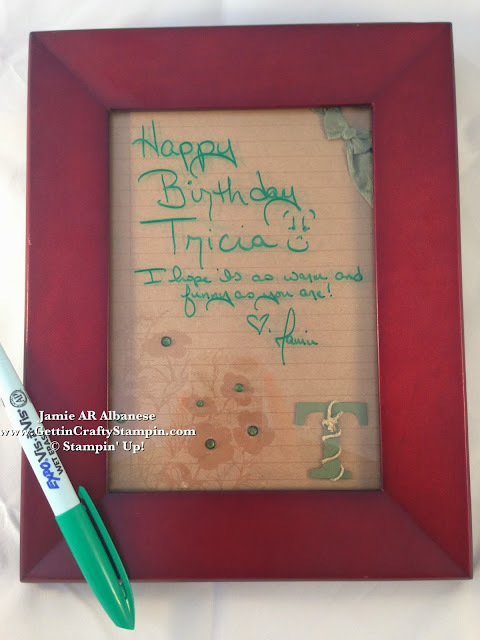 With a Wet-Erase Marker (Dry Erase makers will work, too, but wipes off so easily). The Vis-à-vis markers work the same but take a wet wipe to remove - making it easier to keep your information. Thanks for coming by! I hope you've enjoyed this gift and tutorials. Please refer me to your family and friends. I try to post daily and hope to see you often! OH! 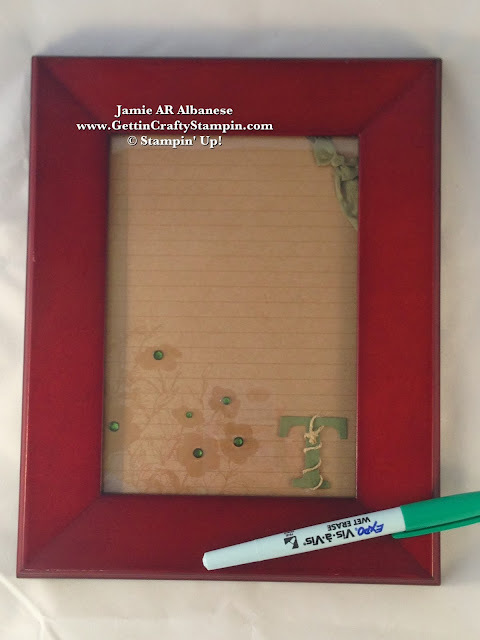 Grab MORE of Gettin' Crafty Stampin' Fun on my Gettin' Crafty Stampin' Mailing List (with Bonus Tutorials and Gifts) and the Virtual Club! Don't overlook the power of a special gift. Those quiet workers who often hold it all together need some love, too! I am blessed to know the staff at our school, they are so funny and warm. I hope that you, too, will give a gift that keeps on giving... it's sure to be a favorite.